Below you can view all the highrises for sale in the Plaza Midtown subdivision located in Atlanta Georgia. 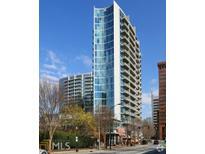 Listings in Plaza Midtown are updated daily from data we receive from the Atlanta multiple listing service. To learn more about any of these highrises or to receive custom notifications when a new property is listed for sale in Plaza Midtown, give us a call at 404-998-4063. Low Hoa Fees. Deeded Parking. Rental Restrictions Apply. MLS#6534833. Keller Williams Buckhead. Plaza Midtown Also Has It’S Own Publix Urban Market Grocery Store With Pharmacy. MLS#6516185. Virtual Properties Realty.Com. Convenient To Great Midtown Restaurants And Shops, Piedmont Park And Beltline. MLS#8538590. Re/Max Metro Atlanta, Inc.. 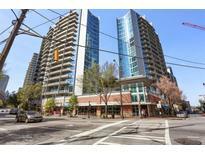 Convenient To Great Midtown Restaurants And Shops, Piedmont Park And Beltline. MLS#6515592. Re/Max Metro Atlanta. Fha And Va Approved. Available Furnished. Price Negotiable. MLS#8530047. Solid Source Realty Inc..
Fha And Va Approved. Available Furnished. Price Negotiable. MLS#6506335. Solid Source Realty, Inc.. This Well Maintained Condo Boasts Floor To Ceiling Windows, Freshly Painted Interior, New Ceiling Fans, Lighting, Custom Closets, 2 Deeded Covered Parking Spots And 24Hr Concierge. MLS#6503754. First United Realty Of Ga, Inc.. This Particular Home Has An Assigned Parking Space On The Same Level As The Home. MLS#8525794. Atlanta Fine Homes Sotheby'S. This Particular Home Has An Assigned Parking Space On The Same Level As The Home. MLS#6504691. Atlanta Fine Homes Sothebys International. Mo Fee Includes All Amenities 24/7 Concierge Water And Internet! ! MLS#6125954. Above Atlanta, Llc..
Light Filled Unit W/Floor-To-Ceiling Windows, Kitchen With Stainless/Granite, Hardwood Flooring, Freshly Painted, Master Suite W/Walk-In Closet, Double Vanity And Much More. MLS#6125214. Real Living Capital City. Light Filled Unit W/Floor-To-Ceiling Windows, Kitchen With Stainless/Granite, Hardwood Flooring, Freshly Painted, Master Suite W/Walk-In Closet, Double Vanity And Much More. MLS#8515951. Real Living Capital City. Enjoy The Many Amenities Plaza Midtown Has To Offer - Pool, Clubhouse, Grilling Stations, Direct Elevator Access To Publix And Restaurants Located In The Building! MLS#6122321. Compass. Elevator Ride To Publix, Restaurants, Shops, Midtown Marta Across Street,On Tech Trolley Line, Financially Healthy Hoa And Well Managed Community. MLS#6120573. Ansley Atlanta Real Estate, Llc. Amenities Include: Floor To Ceiling Curved Windows W/ Stunning Views, Gleaming Hardwood Floors Throughout, Granite & Stainless In Kitchen, Tile & Granite In Baths, Walk-In Closet, Large Balcony, Top-Notch Community Amenities Currently Under Reno W/ Pool, Fitness Center & Club House, Direct Elevator Access To Publix! & Two Garage Parking Spaces! MLS#6118107. Compass. Amenities Include: Floor To Ceiling Curved Windows With Stunning Views, Gleaming Hardwood Floors Throughout, Granite And Stainless In The Kitchen, Tile And Granite In The Baths, Walk-In Closet, Large Balcony, Top-Notch Community Amenities Currently Under Reno With Pool, Fitness Center And Club House, Direct Elevator Access To Publix! And Two Garage Parking Spaces! MLS#8506933. Compass. There Is No Reason To Leave This Community, Although Walk Only A Few Short Blocks To Marta With Direct Access To The Airport MLS#6109170. Harry Norman Realtors. “Publix” Button On Elevators Put You Directly Into The Supermarket Via Private Entry, Or Walk To Retail And Restaurants Around The Block. MLS#6091585. Palmerhouse Properties. Walk To Piedmont Park & The Beltline! Next To Ga Tech Campus! MLS#6079624. Mark Spain Real Estate.